Having to deal with unexpected auto repairs can be stressful. Many people can’t afford to be left without a vehicle, not even for a day. They rely on it to get to and from work, or to drive their children to school and extracurricular activities. No one wants to get stuck roadside, having to pay for a tow, and wondering how you’re going to get around until your car gets repaired. Even worse, finding out that while your car is repairable, the damages will be costly. Don’t let this happen to you! There are ways to prevent most of the issues that may happen to your car. Many of the issues that could happen with your car may come as a surprise to you, but your vehicle was most likely in need of maintenance for too long. Don’t ignore any warning indicators like the “CHECK ENGINE” light, battery light, battery alert, coolant temperature warning, oil change reminder, and other alerts. Check your owner’s manual and familiar with the warning lights that could appear on your dash. If you experience any of these warning lights, get your car inspected right away. Most vehicles will continue to run normally, even with the warning light on. However, continuing to drive the car in that condition will have you facing more extensive damage to your vehicle. All fluids are essential to your car’s performance. For example, if your car does not have enough engine oil to lubricate the moving parts of the engine, these parts may rub against each other, resulting in engine damage. Visit a local Master Mechanic to set up a regular maintenance schedule and let the experts keep on top of your vehicle’s maintenance needs for you. No one likes getting caught off guard with unexpected costs, especially while on a tight budget. It always helps when you’re prepared for anything that comes up in life. Put aside a little bit of your budget each month in case you need it. This little bit could go a long way to save you from having to put repair costs on high-interest credit cards. 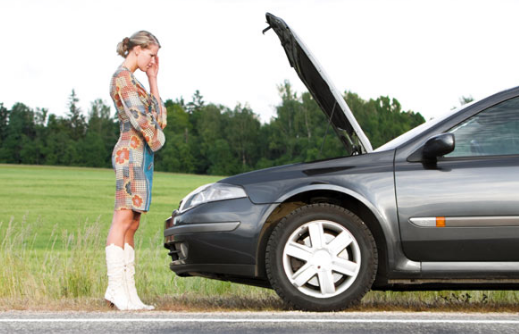 Have a reliable back up plan in case your car has to be in the shop for a few days. Speak with your friends and family in advance about arranging a carpool in case either of you is ever faced with car trouble. For more information on setting up regularly scheduled maintenance to your vehicle, visit or contact your Local Master Mechanic near you.